Monday Morning Star Count: I’m back! | there's no place like gnome. Monday Morning Star Count: I’m back! 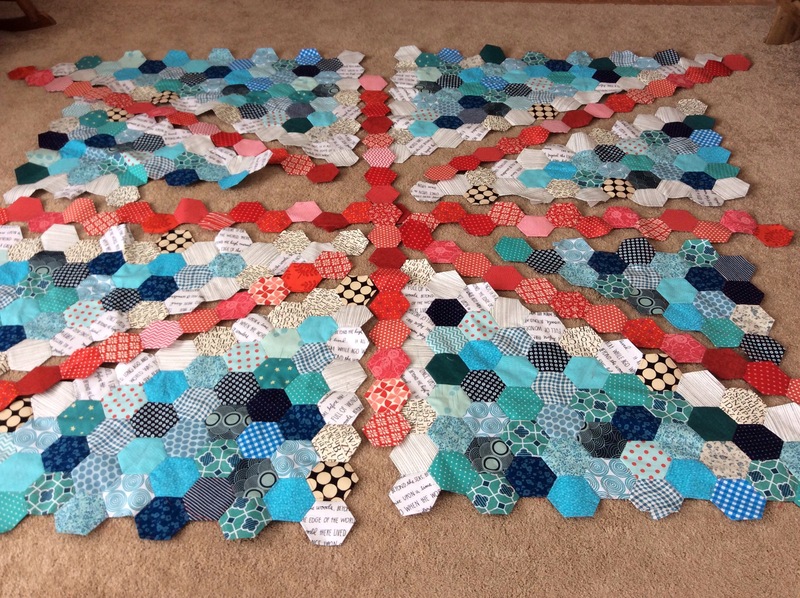 It’s been a couple weeks since I have posted and linked up with my current EPP project – the Union Jack hexie quilt. Since I’ve last posted, I’ve made crazy progress and the basting and sewing made its way to Montana and back. My sewing kit kept me busy and entertained on a long train ride from St. Paul to Havre, and also on a car ride from Havre to Essex (Glacier National Park). ← A post 27 hours in the making. Wow! This looks great. I know what you mean about not being able to stop. You’re so close!! How exciting! And it is looking fantastic. 🙂 Sew, sew, sew! Fantastic! I can see why you are motivated to continue! I can’t wait either! I am so impressed with this quilt….go, girl! I love this! Great design and color choices.